Knitters of all levels are welcome to come to a FREE knit night out on the first Saturday of the month. 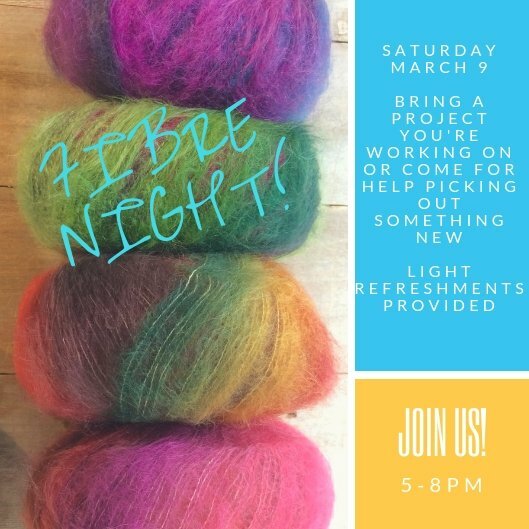 Come to learn to knit, bring a project, or get help starting a new project. Light refreshments provided.